It is engraved "EAS" in a delicate script on the handle front. A robust piece, it is in excellent condition. The finish is bright and warm. 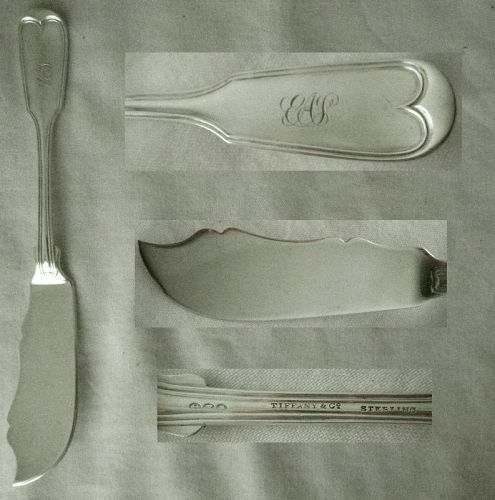 The scalloped upper edge, and beveled lower edge, blade remains flat and free of bends or surface marring. Six matching table serving spoons also available.